Pable Sandoval was part of three world championships in San Francisco but didn’t depart on the best of terms. 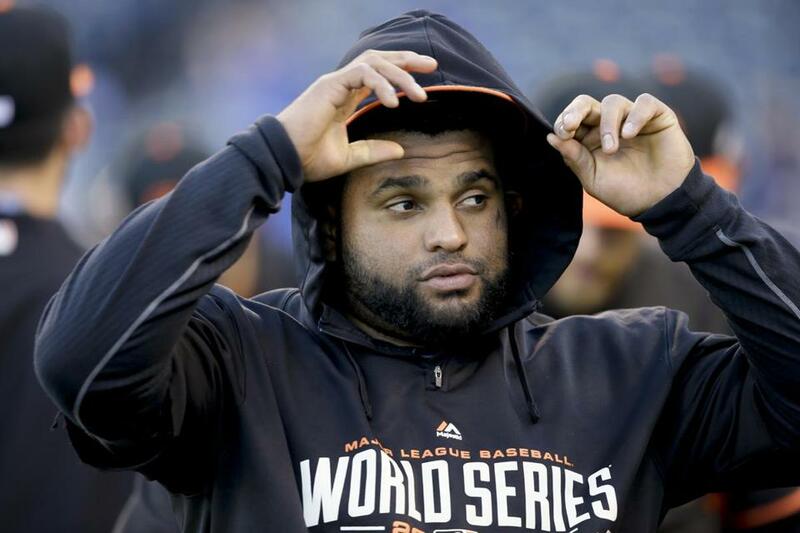 Giants assistant general manager Bobby Evans said Tuesday he was somewhat surprised by Pablo Sandoval’s critical comments regarding the San Francisco organization, but hopes that deep down Sandoval will remember his experience there in a positive way. Sandoval said in a Bleacher Report article that it wasn’t hard to leave the Giants organization. He cited a couple of reasons, including a failed attempt to secure a contract from the team prior to his final season. Evans does most of the negotiating for the Giants, and he remembers no great angst by Sandoval at the time, other than a desire to do something long-term. The Giants offered a four-year extension last spring training with a vesting option that had very reasonable incentives, according to Evans. The deal was worth just under $85 million, which was $10 million less than what they offered in the offseason. And when the Giants matched Boston’s offer of $95 million, Evans said, they made it clear they would go up on that if it meant a deal could get done. Evans also said that the Giants didn’t drag their feet, contrary to some reports. “We made our first offer the day after the parade,” Evans said. Evans added that he had a longstanding relationship with Sandoval’s agent and that communication was pretty open. He was surprised to hear of any mistreatment of the agent by Sabean. Evans was also surprised that Sandoval would mention only manager Bruce Bochy and outfielder Hunter Pence as people in the organization he would miss. “Pablo was a great teammate and I know he loved all of his teammates,” Evans said. “That’s not the Pablo I remember or that his teammates remember. He showed a great caring for everyone.